Canada Loan Shop is the most reliable option to choose for Car Title Loans Hamilton. 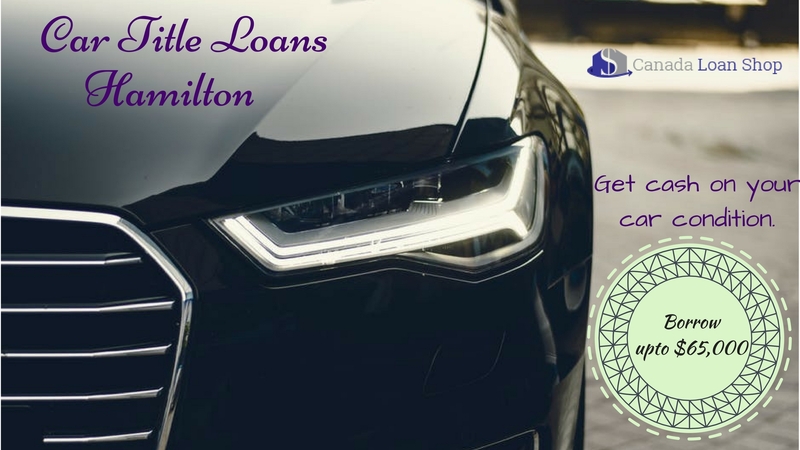 These loans are fully secured and affordable which required a clear vehicle title, a valid Canadian driver’s license and a proof of permanent residency. Your vehicle title is used as loan collateral. Canada Loan Shop don’t require any type of check on your credit and employment for the loan. Our expert loan representatives are available to assist you in the each and every step of the loan process. You can get funded instantly through our easy loan process and don’t need to go through any messy paperwork. Your loan amount is based on the value and condition of your vehicle; not on your credit. Call Canada Loan Shop or Apply online. Complete and sign the minimal documents. Get your cash and keep your car. There is no need to worry about losing your vehicle; you can keep driving it for the entire duration of the loan. You don’t even go through the difficult documentation for the loan approval. Contact Canada Loan Shop (Toll-Free) 1-844-572-0004 And Apply For The Beneficial Vehicle Title Loans Hamilton! Address: 250 The East Mall, Toronto, Ontario-M9B 3Y8, Canada.